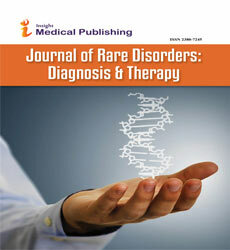 Rare Disorders: Diagnosis & Therapy is a journal publishes bimonthly in English language. We welcome original research articles, review articles, editorials, case reports, and others from any part of the world. Manuscripts are reviewed by members of the international editorial board and our expert peer reviewers, then either accepted for publication or rejected by the chief editor. Shorter articles are particularly welcome.